Shopping for Coca-Cola Holiday Ornaments? Christmas just isn't complete without Coca-Cola! This Coca-Cola Bear Standing and Within Stocking Set features Coke's iconic polar bear mascot with some adorable Christmas paraphernalia. 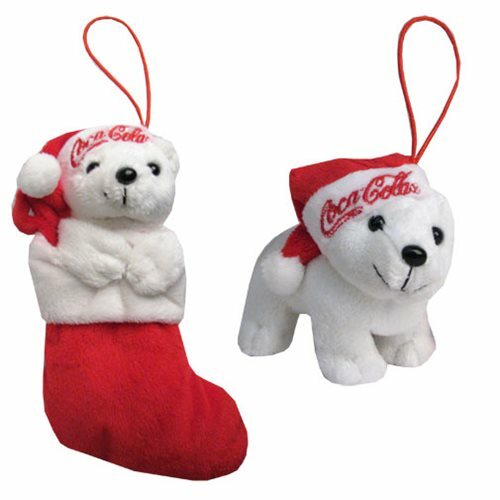 You could get the cute Coca-Cola polar bear wearing a Santa Coke hat, or a super cute version of the polar bear inside of a Christmas stocking! Ages 14 and up.